Many people jump into the Red River to save themselves $4 for a ticket at commercial pools. 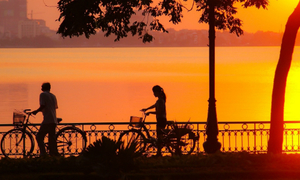 Summer is here in Hanoi, and there are different ways to beat the heat: staying in an air-conditioned room, indulging in iced drinks, or, go swimming in the Red River. 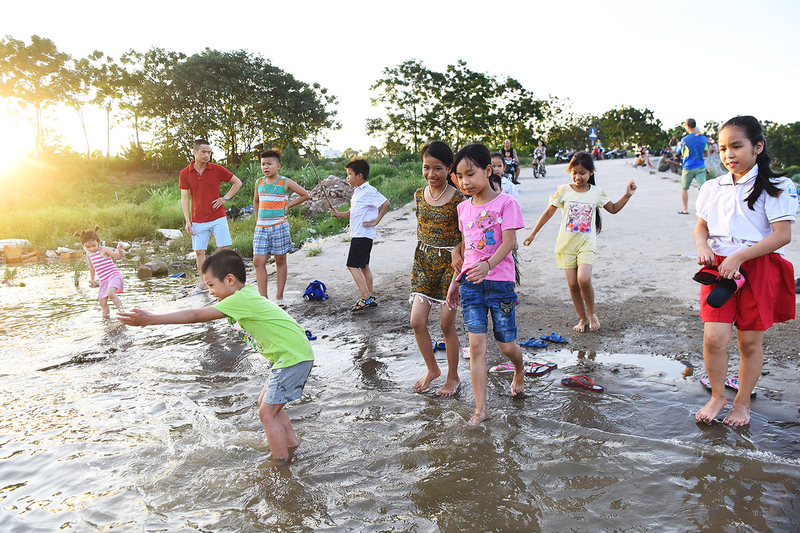 As a swimming session in the capital can cost from VND30,000 to VND100,000 ($1.31 to $4.38), local parents find the Red River a free gift of nature which can offer their children so much joy. 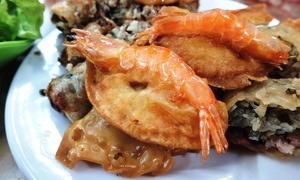 The river also attracts those who don't live within a walking distance. 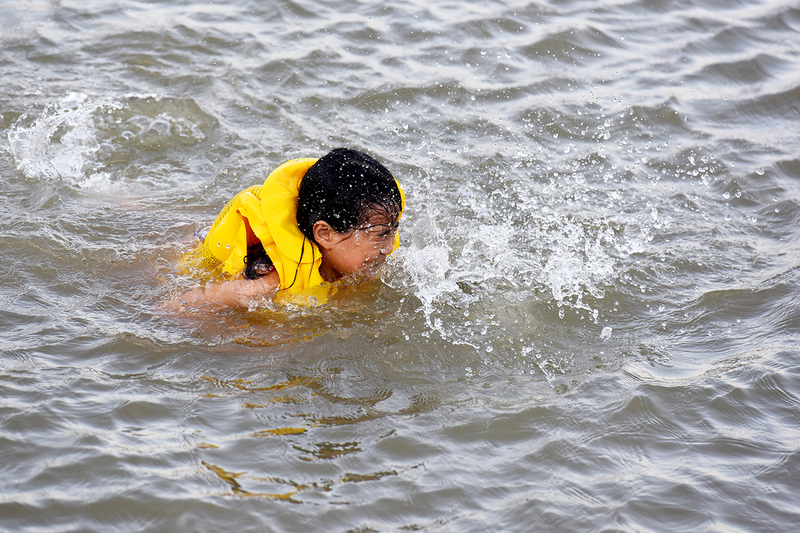 A girl enjoys splashes in a life jacket. 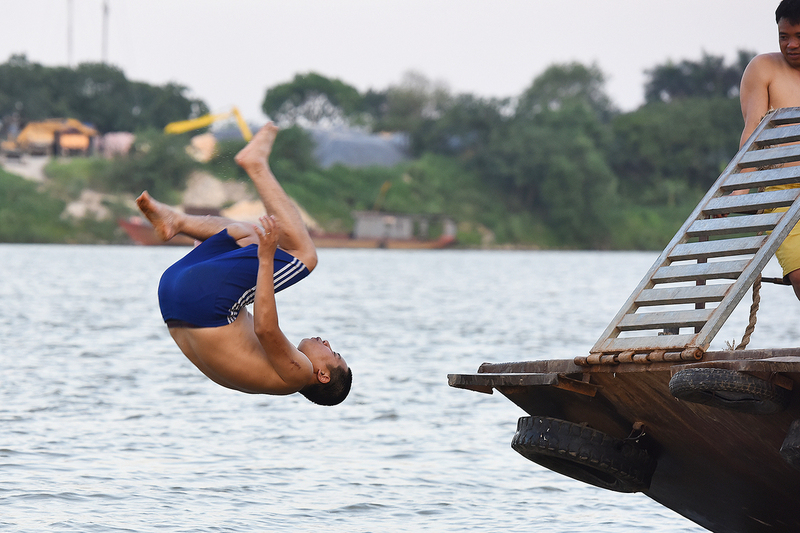 A man performs a roll before throwing himself into the river. 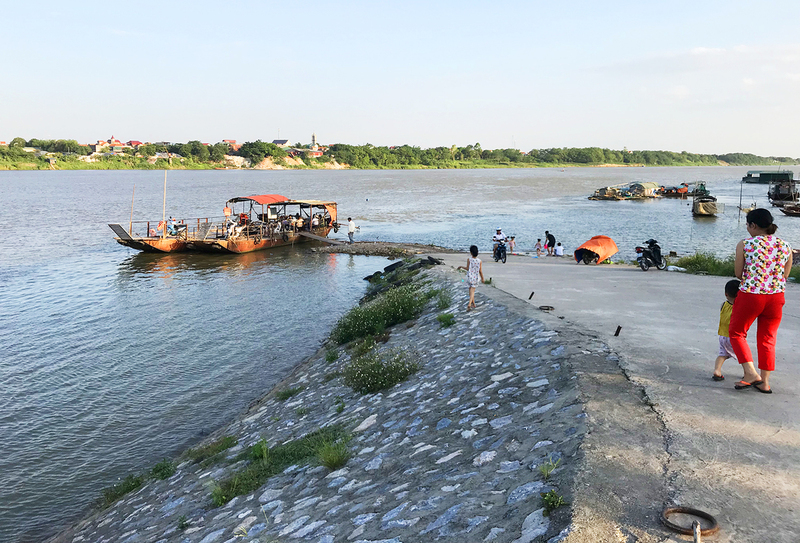 Men take a break on one the boats along the river. 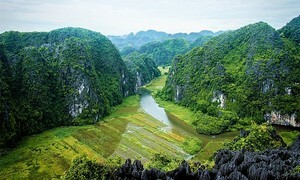 The Red River flows from Yunnan in southwest China to the Gulf of Tonkin, forming one of the most important deltas in Vietnam as it passes through the country's northern region. 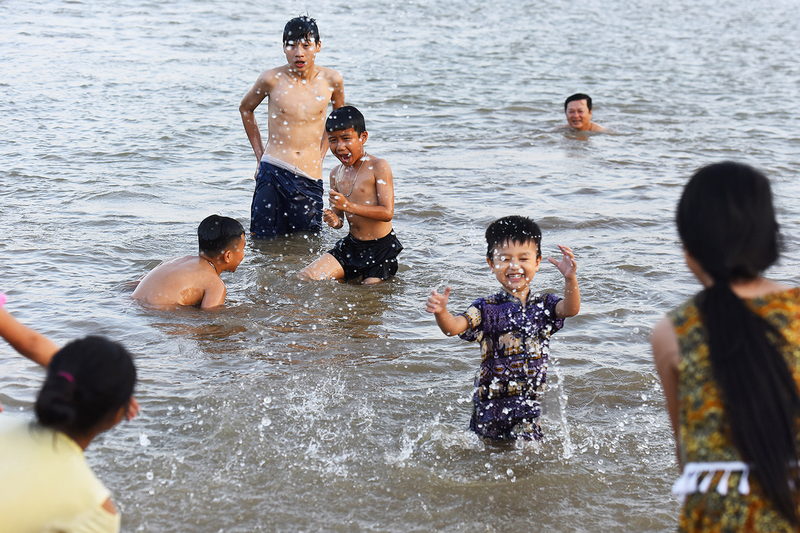 For a child in a city of 7.6 million, playing in the river proves that happiness doesn't have to be expensive.